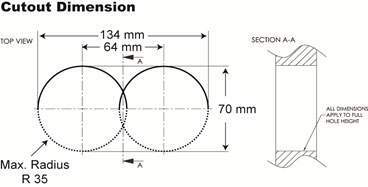 Can be lowered out of sight. The OE Elsafe POWERTOWER is an innovative product providing worktop access to power and data in a clever stowaway unit. 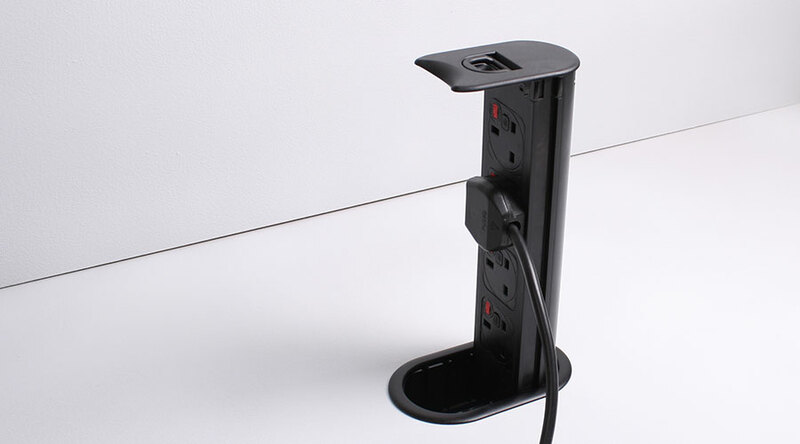 Simply pulling up the POWERTOWER presents power/data and USB charging outlets in an easy to reach position. 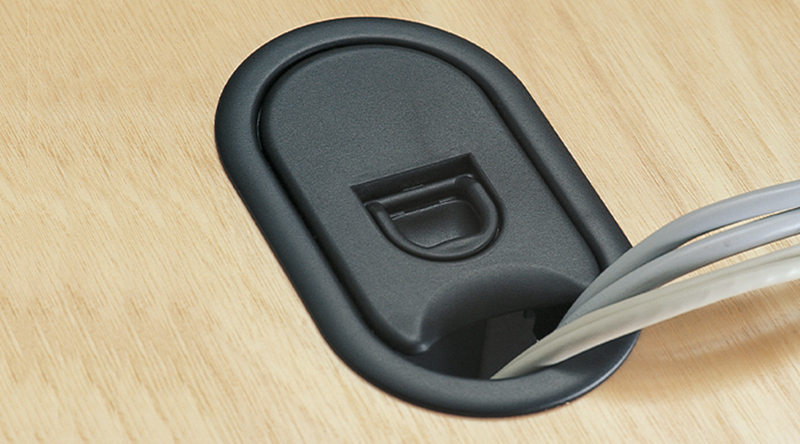 All plugs and excess cables are stored below the worktop reducing desk clutter and freeing work space. 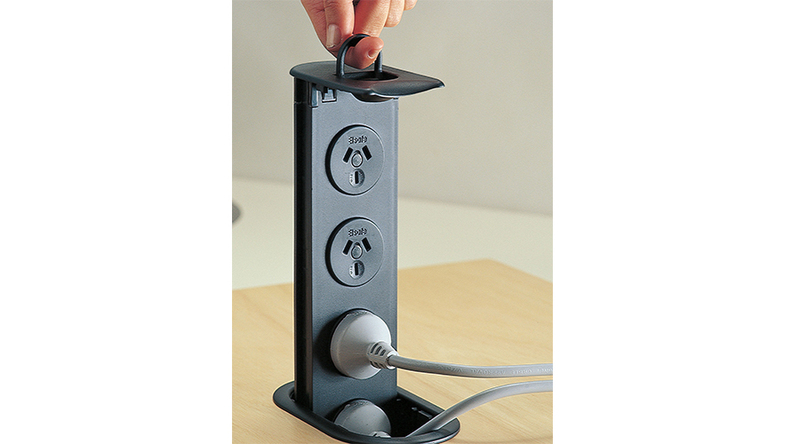 The OE Elsafe POWERTOWER can have outlets on one of two circuits and can be supplied with leads terminating in OE Elsafe soft wiring connectors or with Australian standard plugs. 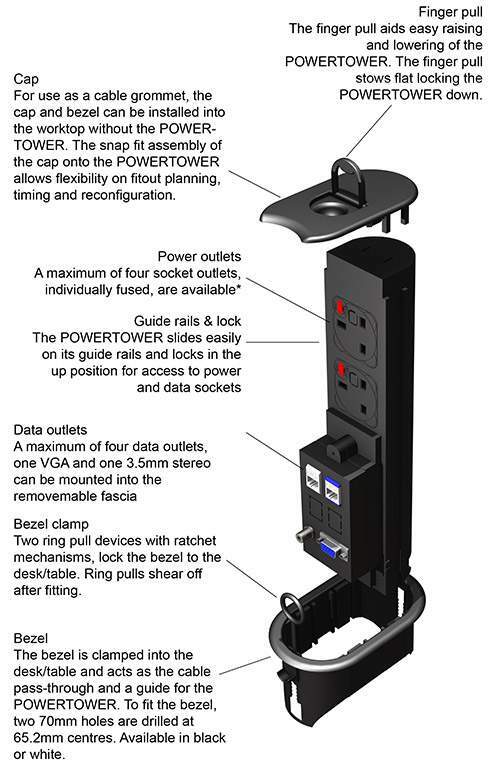 The POWERTOWER is available in international configurations including UK, USA, Chinese, Schuko and French Belgium versions. 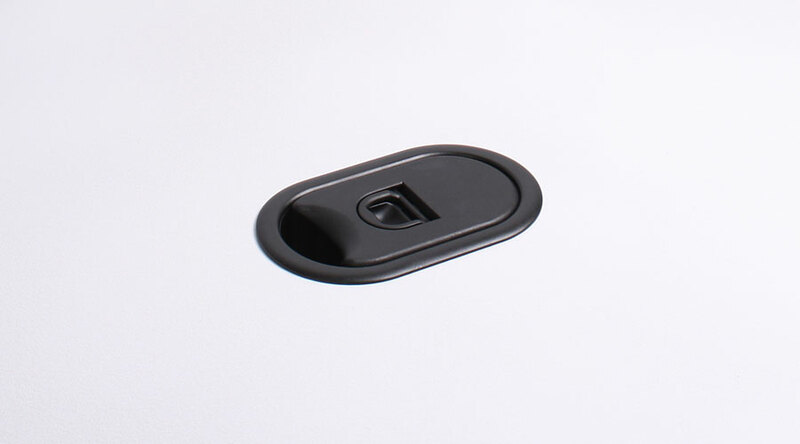 Suitable for workstations, furniture systems, shop counters, reception desks, conference desks and hotels. 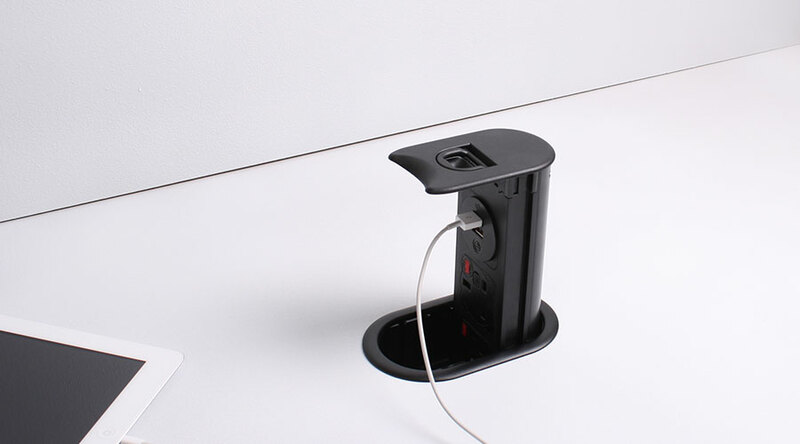 POWERTOWER may be configured with any combination of power, data/AV and USB charging including our class leading TUF A+C: Twin USB Fast charger.